Natalia Hilton is an 19 year financial services leader with extensive experience working on transformational projects in the customer service, operations, risk management, project management space for various global financial institutions including Bank of America, Santander Bank, and State Street Corporation in their commercial lending, consumer banking, enterprise risk management, merger and acquisition and data analytics divisions. Her more recent roles included risk management oversight as CAO for one of State Street’s Data Analytics divisions, State Street Associates, where her responsibilities were later expanded to include the broader Innovation and Advisory services division. Natalia was also the lead project manager accountable for the creation of the Intermediary Holding Company (IHC) at Banco Santander, her role was to foster the coordination and define the strategic approach on transversal undertakings across teams involved in IHC and transformational initiatives of 14 entities to form the US organization with oversight from the C-suite executives and the Board of Directors. Natalia’s passion for service as a mentor in her community lead to her 5 years of service on the ALPFA Boston’s Chapter Board, one of ALPFA’s largest and most innovative professional chapters. Having held roles as the Chair and VP of Marquee Events, the VP of Student Partnerships and the Chief Relationship Officer, her work was fueled by her strong desire for growth in Latino leadership being a native Puerto Rican with Dominican roots. Natalia is also an educational advocate as a member of the Board of Trustees for her high school Alma Matter, Presentation of Mary Academy in Methuen, MA. As Marvel and DC movies enthusiasts and Lego builders, Natalia and her husband Cesar with their 3 children, Nalia, 9, and twin boys Nathan and Noah, 6, enjoy quiet nights at home or traveling to warm climate destinations. 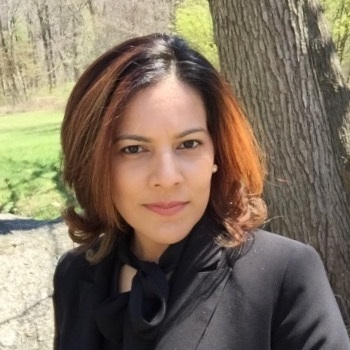 Natalia has earned both her Bachelor of Science in Business Administration with concentrations in Finance and Management and her MBA from the University of Massachusetts Lowell.